So here I am ready to admit to the world that guess what? (SHOCK! HORROR!) I looovve a list! YES I do, I write them daily and sometimes hourly! There are lists for other people, lists for me and sometimes even lists for Elliott (The Pug) and I know, I have read the business literature that says if these lists aren’t ‘SMART’ they could be causing more damage than they are doing good. Lists are supposed to un-clutter our minds (and you know me by now, I am all about un-cluttering my mind and living a peaceful life) where in fact they are usually making a mountain out of a mole-hill and over busying ourselves for the sake of of being over-busy! 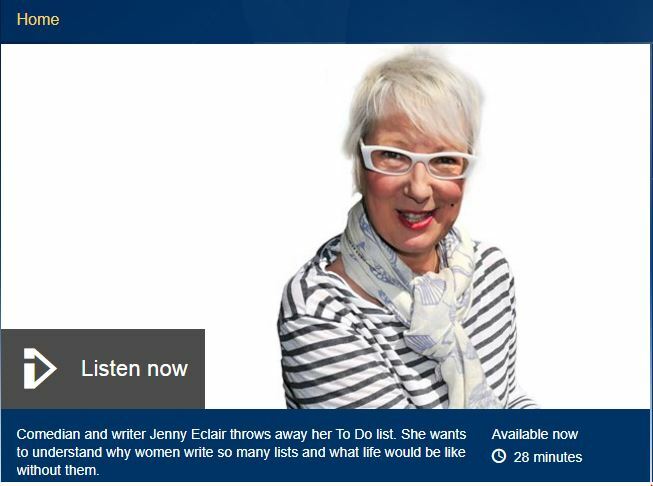 SOOOO, I was absolutely delighted the other day while on a #sewingtour trip to Newcastle there was Radio 4 programme hosted by the gorgeous Jenny Eclair all about LISTS! Did you hear it? Let me re-cap for you.. BUT I do think we need lists – I certainly need a list to get up in the morning so I am not overwhelmed with all the ‘to-do’s’ going on in my head! So how do we get SMART with our lists? SMART is a ‘mnemonic acronym‘ giving us a guide in order to set objectives: In personal development, the letters S and M usually mean specific and measurable: then the remaining letters referring to achievable, relevant and time-bound… I often get asked to use this ‘SMART’ method when writing up proposals but I think we can use it on our lists too. So let’s get SMART. There are so many fantastic helpers out there on this subject, Jenny talks to a coach Juliet Landau-Pope about how to get smart with the lists by prioritizing our lists (do listen if you can it’s right at the end of the recording). 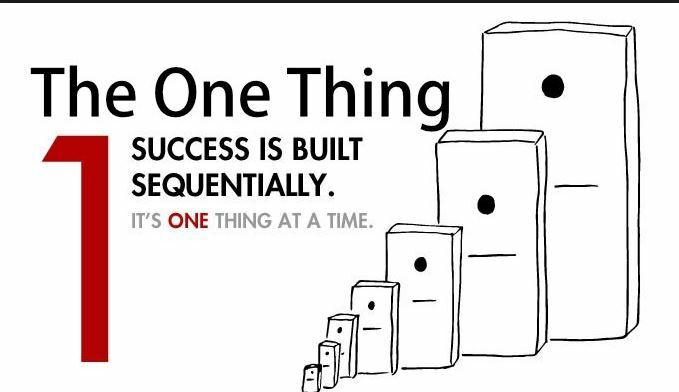 I am a big fan of the book ‘The One Thing’ by Gary Keller. I listen (on Audible) to this time and time again to get myself on the straight and narrow with lists and daily tasks. I especially like the content in Chapter 7 when he talks about multi-tasking and list making. Get your lists and dwindle it right down to ‘The One Thing’ to do today – this minute – and do that… Sound simple? I know it does sound simple but as creatives I feel that this is a big block for us. We often multi task with our brains flitting from one thing to the next. So write it down to get it out of your head then do one thing! I am serious – it works! If you want to learn more about ‘The One Thing’ here’s a link to the website, there are some great free resources on there, although some are quite corporate so I generally steer clear of that, but if you wade through you can see bits that can really relate and help, hey they have for me and that’s saying something! PS: I am soo excited to discover that Jenny Eclair is coming to the Great British Sewing Bee Live at EXCEL!